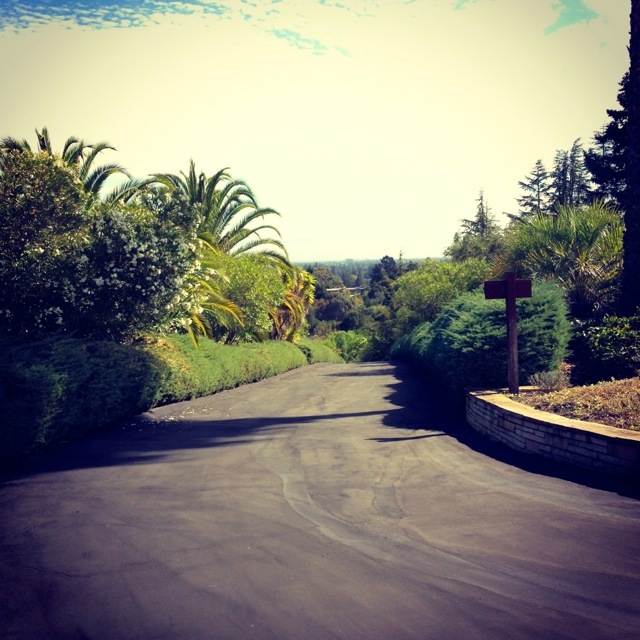 From our cross-country trek to California. Image by Natania Barron. Travel is no easy task, not even for the most well-accoutered GeekMom. This year I took an unexpected trip to California with my new baby old in tow, and let’s just say I learned a great deal about what makes sense on a cross-country trek when you’re hoisting along a twelve pound bundle of joy. So fair warning: I’ve included a variety of items here, both for the casual traveler and the adventurer, but there’s definitely a newer mom slant. My daughter snuggled in the Maya Wrap. At Costco. Image by Natania Barron. I have my friendly consignment store clerk to thank for this one, even though she didn’t have one in stock. When my son was little, we used a sling that wasn’t adjustable, and while it was decent it really took some getting used to, and I expressed a desire for something even easier. 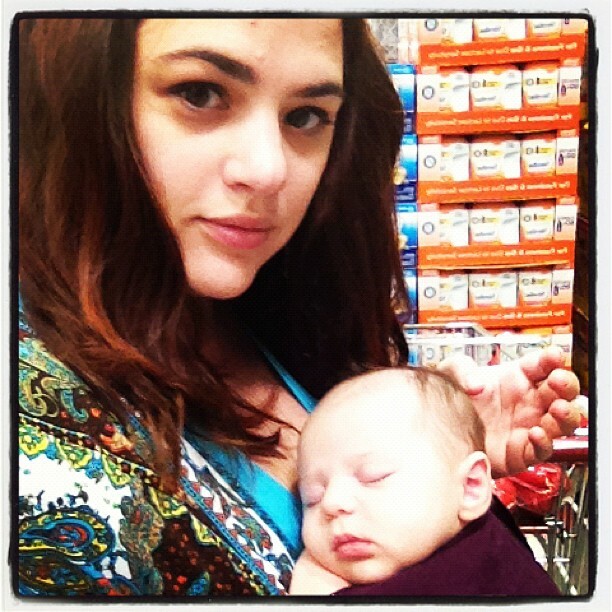 The clerk told me that the Maya Wrap was one of the most important items she ever got with her kids, and that she used it until they were almost two years old apiece! I found one in maroon locally, and at first was a little taken aback at the price. But with such glowing recommendations, I didn’t turn it down. I have a philosophy that when it comes to items I’m going to use every single day, skimping isn’t a smart choice. I’ve been thrilled with the Maya Wrap ever since. For the first five months of her life, my daughter has pretty much gone everywhere with me, comfortably ensconced in it. I far prefer this design to the front sling models, as it actually uses my hips to help with weight displacement. It’s comfortable for me and for her, and sure beats carrying around a carseat everywhere (which is impossible with my bad wrists, anyway). Plus, we get compliments where ever we go, as her adorable little head peeks over the top. It’s made of sturdy material, is easily washable (which isn’t the case with many other wraps) and doesn’t have miles of fabric or strange snaps and buttons that seem to serve no purpose. The straightforward design and sturdy construction hold up for years. 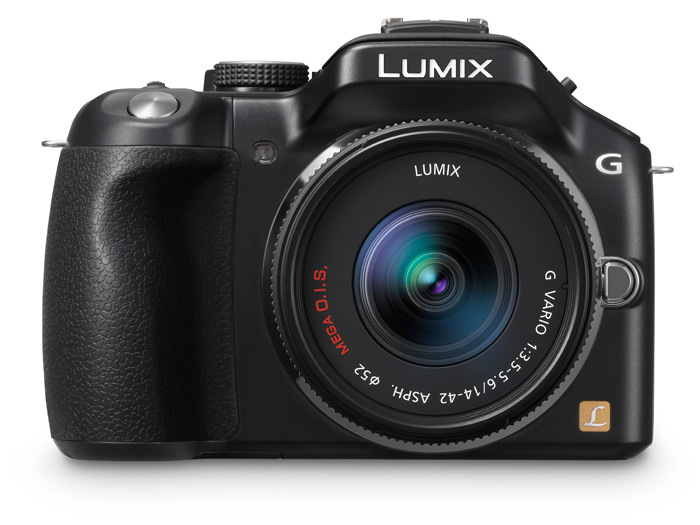 The Lumix G5 by Panasonic. Image by Panasonic. I have a confession to make. I love taking photographs. And honestly, I don’t think I’m terrible at it. Sure, I rely on Instagram a lot these days but that doesn’t mean I don’t want to move up in the world. However, having recently sold a DSLR camera because I just didn’t have time to become an expert in it, I’d thought there was no middle ground between the classic point and shoots, like the Nikon Coolpix that we had forever, and the bells and whistles of the DSLR camp. 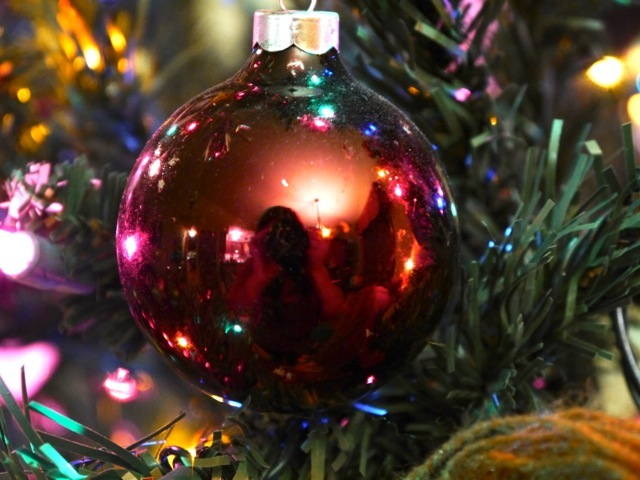 Holiday reflections. Image by Natania Barron. Taken with the Lumix DMC-G5. Thankfully I was wrong. It’s not that I’m incapable of learning a professional-style camera, but that I don’t have the time. I have enough hobbies. The Lumix DMC-G5 from Panasonic boils everything down for you, and features the things I love bout DSLR cameras (a fantastic display, excellent zoom, responsive buttons, presets) and makes it even easier to use. Extra bonus? Built in filters. My favorite part is the scene gallery that lets you match an image to the finished product (i.e. there’s a setting for Christmas lights, which you can see I took advantage of). Using DSLM technology (Digital Single Lens Mirrorless) it basically allows the responsiveness of a professional grade camera, but without the bulk. It’s compact and lightweight, which is always a consideration with my less than impressive hands. I’ve had a blast doing all sorts of fun things with the camera, and can honestly say I’ve never gotten the hang of a camera so quickly. I’ve just started to graze the surface of the photographic possibilities, but it’s turning into one of my favorite holiday items this season. Keeping technology safe is a growing concern in geek families, especially when travel is involved. Our computers, and in this family especially our laptops, have become central to our daily lives–not to mention being a huge investment. 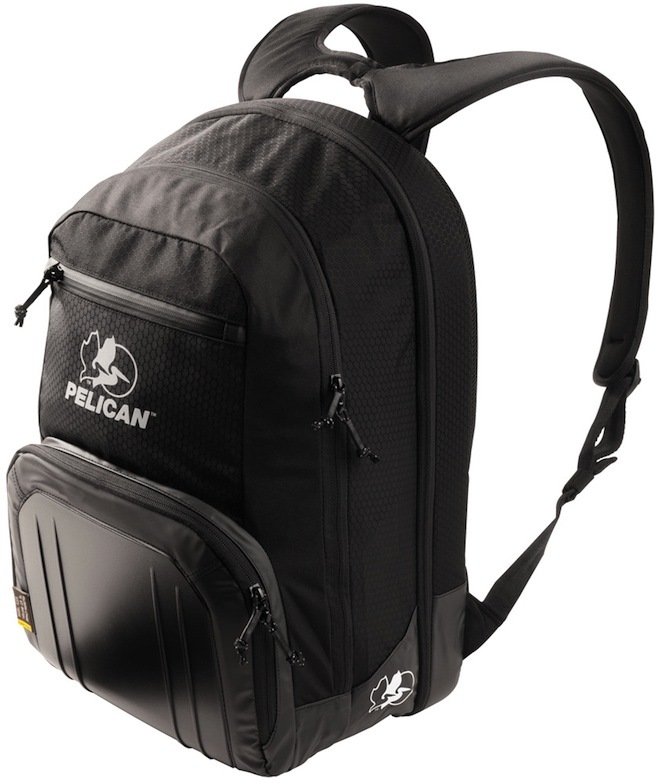 Pelican ProGear has put together a great way to give you peace of mind while traveling by creating a series of rugged backpacks made to keep your tech cozy and safe. We took the S105 Laptop Backpack for a spin, and felt it was definitely a strong performer. While there are some model with significantly more bulk–mostly intended for hikers and backpackers and folks likely to take theirs on longer journeys–ours is slimmer and ideal for commuters or casual travelers. My husband’s using it now, and it’s replaced the variety of laptop messenger bags he’s been using. I like that it’s got tons of internal storage, too, which is great for keeping everything organized from a tech standpoint, but the overall design is quite sleek. Reinforced pockets and protective areas mean that your tech is safe from the inevitable bumps and jumps of traveling. It comes in three different colors, and even works pretty decently as a diaper bag if needs be! Bumbleride Flyer. Image by Amazon. As with my other daily use baby items, I went all research with my stroller choice. After we had one set really not work (remember: bad hands) I was adamant about getting something lightweight and flexible. Something I wouldn’t have to struggle with to get out of the back of the car, but was strong enough to last until the baby was big enough to walk around on her own. Thrifty lady that I am, I wasn’t keen on paying full price, so I scanned the Craiglist ads in my area until I came across the stroller I was looking for: The Bumbleride Flyer. I am so glad I got this stroller! 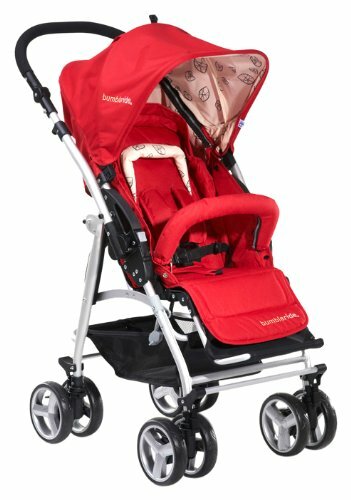 It’s versatile beyond belief (you can adjust the handles so the baby is facing or away from you), lightweight, and adjusts to the terrain with bars at the front and back wheels which allow you to lock them if needed. It’s not a jogger, per se, but it definitely keeps up on the long walks I take with my friend Jennifer, and doesn’t snag on bumps. Plus, there are many, many points of articulation: the foot rest goes up, the back is easy to recline or straighten (with one hand, even) and the hood has a wide range of positions to keep out the sun. The only challenge (which I’ve yet to solve with any single stroller) is that it has a hard time going over the curb, especially when the stroller is baby-facing toward me. I guess I’ll have to wait for hover technology, though, as that seems like a pervasive problem in the stroller market! It’s still by far the best stroller I’ve used. Image by Target. The Lytro. We get a lot of unusual pitches as GeekMom bloggers, but the Lytro really got my interest piqued. It sounded unlike anything I’d ever used–while I’m not exactly a professional, I’ve owned everything from a fancy DSLR to my iPhone camera–and I wanted to test it out. When I travel, I love taking pictures. Especially outdoors. 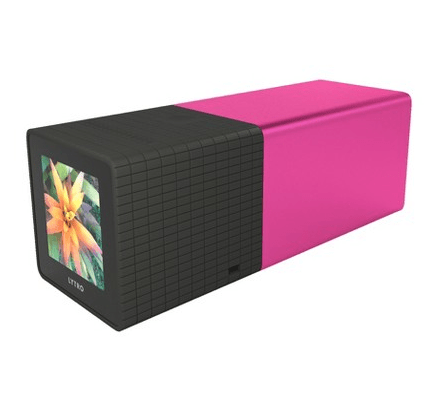 What I got was a Lytro, in “moxie pink” — a Target exclusive. Aside from really liking the color, I liked the idea behind the Lytro. It uses light field technology and maps the entire light landscape in 3D, rather than 2D like standard cameras. What’s the point of that, you ask? Well, it allows you to edit your focal points afterward–in fact, your friends can edit them, too! Pretty rad, if you ask me. But let me back up a minute. The Lytro, first, really doesn’t look like a camera. It looks like a boxy (in my case, bright pink!) kaleidoscope. There are no buttons, per se. Everything is flat to the body of the camera, including the power button. And you use the small, square touch screen for everything else (as well as a swipe surface above the screen for zooming in and out). My only beef with the camera is that the display is nowhere near as nice as what the pictures actually look like in the editor. And you really do need a lot of light, so it’s ideal for outside, sunny days, and not interior portrait photography. The Lytro is ideal for the photographer that has everything and travelers looking for unique landscapes and plant closeups. I should also mention that the interface for the editor is great, too! Intuitive and easy to use. It’s not going to replace your current camera, but it’ll definitely give you a new perspective on photography. The first time round, we used a Graco Snugride. I wasn’t a huge fan, honestly. Partially it has to do with the aforementioned bad wrists; I just have a hard time clipping and unclipping seats, not to mention lugging around detachable “portable” portions. So this time I did a little more research in the car seat department. I wanted something super safe, adorable, and something that stayed put (with the Maya Wrap, there’s no need for a detachable seat). 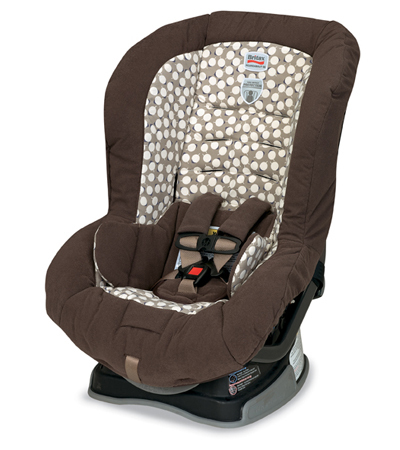 After looking at a variety of options, I came across the Britax Roundabout 55 for a great deal on Amazon.com. 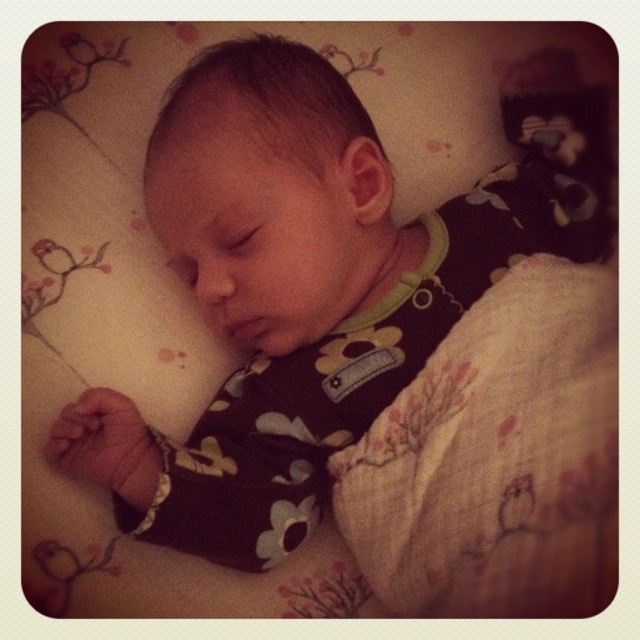 Not just seriously cute, but seriously safe, and highly recommended by reviewers (always a big win for me). While the installation was a little bit of a challenge (this thing is seriously anchored into my Honda like you wouldn’t believe — and there are videos on their website to help you get it installed correctly) it’s been absolutely perfect for the baby. It supports kids all the way up to 55 pounds (after it’s been turned around of course) so it’ll last longer than the Graco did, by a long shot. I think we’re on seat number four for our son, and he’s still growing! It turns out you don’t have to pay a ton for a Britax, either. Value and safety and good looks. Can’t go wrong in that department. I didn’t know which gift guide to put these in, and finally settled for travel. So to start this off, here’s another point of contrast: our son had to be swaddled to the max, for as many months as we could manage, after he was born. I was fully anticipating on needing a Miracle Blanket for my daughter. But it turns out the muslin swaddling blankets from Aden and Anais were all we need. And not only are they fabulous swaddlers (the material is breathable and naturally stretches) but they are useful in a myriad ways (hence the travel angle). Basically, they go where we go. Between the material and the dimensions, these stylish and gorgeous blankets are major multitaskers, and you know how much we adore those here at GeekMom. My particular favorite uses include burp cloths and window shades and stroller shades. Not to mention the patterns are majorly drool-worthy. I still use them every single day, and as the weather oscillates here in NC between 75 and 55, wrapping up my little girl in them in part of our routine. At home we also have a crib sheet, which stretches beautifully for a tight fit (and has owls on it!) that we’ve also used in portable Pack ‘N Plays when needed. I have a feeling she’s going to love them when she’s a little older, too. I highly recommend these! Every time I wash them, they’re softer. Which makes laundry fun. Almost. One of the things we constantly struggle is in this household during trips are the endless stops to get food. It’s never good food. And it’s always wasteful, leaving the back seat of my car looking like the vacated seats of a ball game. 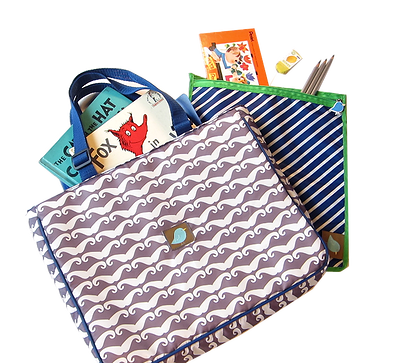 Eco Ditty’s line of reusable sandwich and snack bags are a great way to kill two birds with one stone: it’s reusable (made of cloth) and portable! So you can make a sandwich ahead of time, and once you’re at your destination, toss it in the laundry. 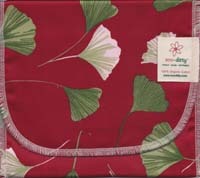 What makes me love it even more (besides the beautiful designs including a most lovely ginkgo pattern) is that they feature a color-your own version. Our son, of course, has covered his in cars. But he loves showing it off at school. You can color on it all over again after it’s washed! And we’ve found that they don’t too dirty with regular use. A little trail mix and you just shake out the crumbs, but peanut butter and jelly sandwiches, unless expertly crafted, are likely to leave behind a little extra and need an immediate wash. Extra bonuses: they’re made out of organic cotton and made in the US. Jaq Jaq Travel Tote. Image by Jaq Jaq Bird. MUSTACHES!! Okay. Getting my son organized is a serious, serious challenge. By nature, he’s just a walking tornado (he gets that from his mom). So when I see the chance to help him keep things together (especially on road trips) I jump at the chance. The Jaq Jaq Bird Tote Bag is just the thing for long trips. He can put his books (his favorite Dr. Seuss), toys (at least a dozen match box cars), and even his beloved electronics (he doesn’t go anywhere without his Nintendo DSi XL). There aren’t a ton of zippers or buttons to fuss with (which is great), and the material is washable and soft to the touch. Not to mention come in a variety of awesome patterns… including mustaches. While I can’t guarantee that they’ll all be put in place once we reach our destination, I do at least know that he’ll have everything in one spot when we pull out of the driveway. And that seriously eases my mind. * Indicates that I received a unit for the purpose of review.